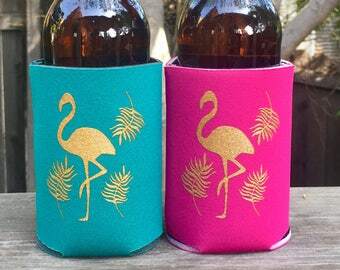 Our tropical pineapple and flamingo drink coolers will be a HUGE hit your bachelorette party, pool party, beach party, or any party! 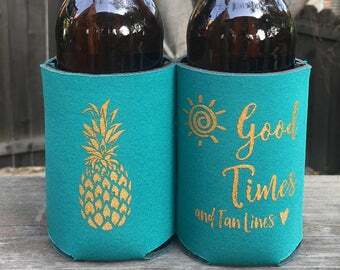 They are double sided with a gorgeous gold pineapple or flamingo on the front and "Good Times and Tan Lines" on the back, after all that's what summer is all about! They come in two different colors, you can choose from the drop down menu. They are also READY TO SHIP! Sorry these are not customizable. 1 | Choose your color from the first drop down menu. 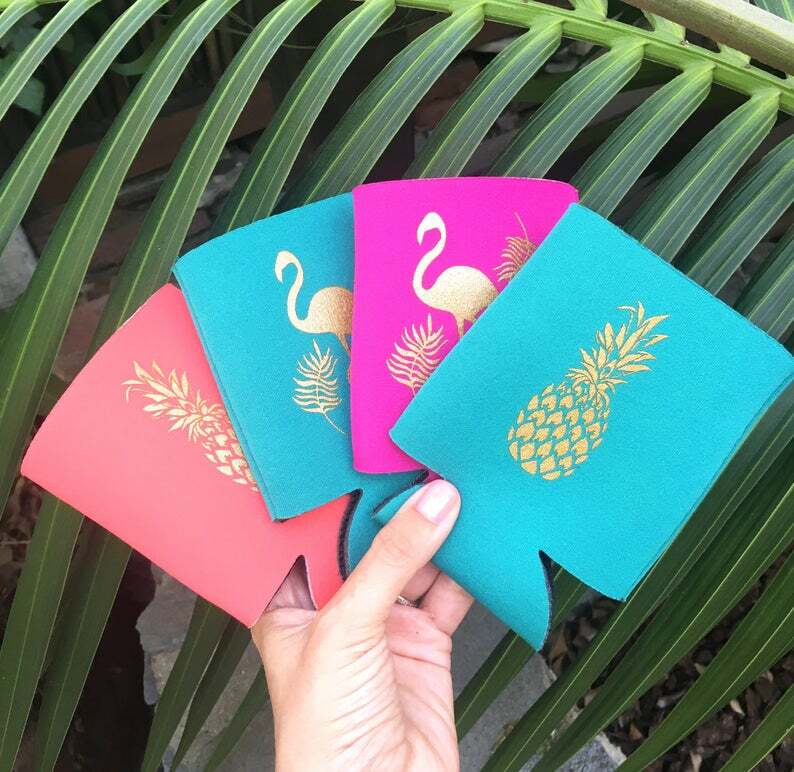 Be sure to stock up on all our other party favors in the shop! *** Please check shop announcement on homepage for current turnaround time*** Our turnaround time is in business days (not including weekends or holidays). Turnaround time does not include shipping time. There are upgrades available in the upgrades section of the shop if you need your item sooner. The seller was very responsive in dealing with a concern I had. The item came on time and was exactly as shown. I would recommend shopping at SweetReposeBoutique to anyone! 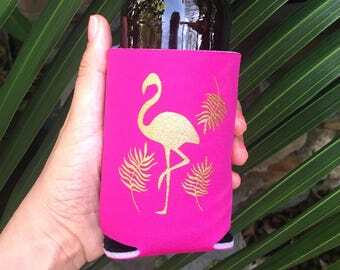 Cute coozies for a beach bachelorette bash!